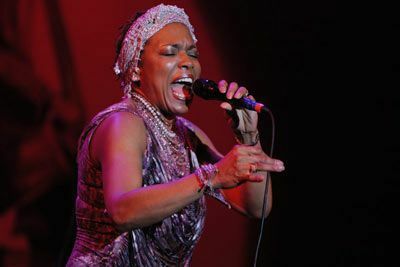 Havana, Jan 18 (Prensa Latina) U.S. singer Dee Dee Bridgewater, one of the stars invited to the 33rd International Jazz Plaza Festival, expressed today her happiness for being in Cuba, a country she visits for the first time. Bridgewater will debut today on Cuban stages, with a concert in the Sala Avellaneda of the National Theater, where she will be accompanied by her compatriot, trumpeter Theo Croker and his band Dvrk Funk. On the evening, the multi-awarded singer announced that she will make a tour of her wide discography with a selection of songs that, she thinks, ‘may interest the public’. The African-American singer, considered an artist of cult within jazz, commented that this visit had been postponed for a long time, because she handled the possibility of traveling to the island since the years when she worked with the legendary Dizzy Gillespie.